George Durant was born in England 01 October 1632. He was in Northumberland County, Virginia before July 1658 where he lived for a time and purchased 300 acres. He married Ann Marwood 04 January 1658/9 there and shortly thereafter moved to Nansemond County, Virginia where he lived for about two years. Durant was associated with Nathaniel Batts, a fur trader and Richard Batts, a sea captain. Together they explored the Albemarle Sound area of Virginia. On 04 August 1661, Durant purchased, in the second oldest recorded deed of the area, land from Cisketando, King of the Yeopin Indians. By 1662 Durant was living on his property in Virginia on the Albemarle Sound which became North Carolina in 1665. Today that land is known as Durants Neck, in Perquimans County, North Carolina. George Durant was one of the leading inhabitants of the area; he was one of the ablest and most influential men in the county. He was a leader of Culpepper's Rebellion which was an uprising against the British over the requirement that all colonial goods be transported in British ships. Durant openly opposed Seth Sothel, one of the Lords Proprietors who arrived to oversee the colony. Durant was arrested and imprisoned. Sothel confiscated the 2000 acres of Durant. The residents of the Albemarle area rose in defense of Durant and banished Sothel from the area. George Durant was an attorney, Attorney General and Speaker of the House of Burgess of the Province of North Carolina. He is widely credited as being the "father of North Carolina". His family Bible is the oldest in North Carolina and is housed in a special collection at the University of North Carolina library in Chapel Hill, North Carolina. George Durant died ca. January 1693/4. Parthenia Durant daughter of George and Ann Durant was born 01 August 1675 in Perquimans County. She married 1) Joseph Sutton, Sr. born 06 August 1673 Perquimans County. The will of Joseph Sutton is dated 1723 Perquimans County. Thomas Sutton, Sr. son of Joseph and Parthenia Sutton was born 20 March 1698/9 in Perquimans County. He married 2) Judith Hardison of Bertie County. The will of Thomas Sutton, Sr. was proved 02 March 1750, Bertie County. Mary Sutton daughter of Thomas and Judith Sutton was born 06 November 1747 in Bertie County and married Lemuel Hardy, Jr. a Revolutionary War hero (DAR and SAR), born 20 May 1730, Bertie County. Lemuel Hardy, Jr. and Mary Sutton moved to the Jason community of Dobbs/Greene County where Lemuel became one of the wealthiest men of the county. Patience Best daughter of Benjamin Best, Jr. and Mary Hardy was born ca. 1803 Wayne County and married Simon Newsome born ca. 1797/8 Wayne County. Patience died before 1880 and Simon died after 1880 in Wilson County. Reddin B. Newsome, son of Simon and Patience (Best) Newsome was born 13 February 1825 Wayne County and married before 1850 Charlotte Howell born 18 March 1826 Wayne County. Charlotte was the daughter of Rev. Maurice Howell of Wayne County, a Methodist minister. Reddin B. Newsome enlisted in the Civil War in the 4th Regiment North Carolina Calvary in 1862 and died 1863. Patience Frances Newsome, daughter of Reddin and Charlotte Newsom was born 24 June 1856 Wilson County and married 07 January 1877 Patrick T. Lucas born 08 September 1854 Wilson County. 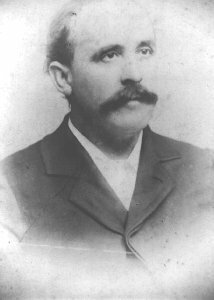 Patrick T. Lucas was an ordained Free Will Baptist minister and died 02 July 1912 Wilson County. They had 12 children. Malachi Daniel Lucas, son of Elder Patrick Thomas and Patience Frances Lucas was born 12 March 1884 Wilson County and married 09 May 1907 Sallie Bass born 14 July 1909 Wilson County, daughter of Nathan Bass, member of the North Carolina Legislature and a large land owner in Wilson County. Charles Clement Lucas, Sr. son of M. D. Lucas and Sallie Bass was born 11 March 1908 and married 25 December 1937 Sallie Elizabeth Williams born 01 April 1911 Sampson County, daughter of John Blaney Williams, Clerk of Superior Court.